1. 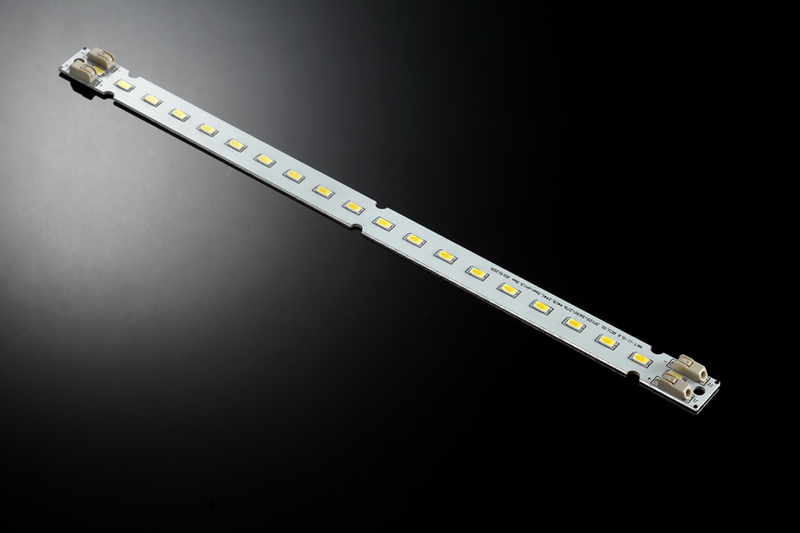 This 2ft LED Linear Module is ideal for 1x2, 2x2 LED Troffer, LED Panel Light, and 2ft LED Tube fixture application. 2. It utilizes Seoul or LG LED to achieve maximum light output and high efficiency. We have a variety of options for you in terms of lumen output, light efficiency and economic aspect. You may need very high lumen output for High bay application, and you may need just right output for some ambient light. 3. For this 2ft LED Module, the higest efficacy can get to 220lm/w without considering lens and power supply loss. After years of development, I believe we can agree most of the time one light fixture's failure is caused by the driver, not the leds if big brand LEDs are used. When LED Module and power supply are seperated and the light fixture fails, you only need to replace the driver, LED Module is still kept. This saves the cost in a long run. 4. This LED Light engine is constant current and the current can be adjusted. It depends on what efficacy you would like to achive. Of course, there is a maximum current and don't over drive the board.